At TangoCode, we are constantly fielding questions about SEM reporting solutions. Our clients frequently ask us to compare companies and give our professional insight as to which off the shelf reporting solutions are best for different agencies. There are many out-of-the-box SEM reporting options out there, offering different benefits for different agencies and industries. 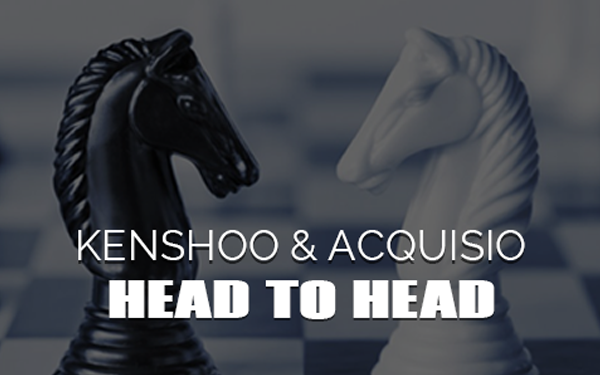 That’s why we’ve decided to tackle this issue head on by providing an in-depth comparison of two of the biggest players in the SEM reporting technology market: Kenshoo and Acquisio. Kenshoo Vs. Acquisio: How Do Their Features Compare? Acquisio offers campaign management, optimization, and reporting for search, social, and display advertising. When you break this down to basic features, Acquisio offers “the fastest optimization algorithm on the market.” They have an easy to use cross-channel platform and a user-friendly way to view all of your campaigns from one dashboard and fix issues as they arise. Kenshoo’s signature program, Kenshoo Infinity, is broken into three tiers of service. The Select plan covers the basics of campaign management, optimization, and reporting for search OR social. The Premium plan offers options for search AND social, and the Signature plan offers options for search, social, mobile, and display. The mobile option makes Kenshoo an attractive choice, but in order to get that service, you need to sign up for the most expensive plan. The general consensus across ratings websites (including G2 and Trust Radius) claims that Acquisio is very easy to use and offers a high quality product, but is “glitchy.” Many users have complained about problems with inaccurate data, trouble when updating their system, or an abundance of updates (which makes it difficult to keep up). Users have also complained about the editing tool, claiming that it doesn’t do anything that AdWords cannot do. Kenshoo’s overall usability rating is overwhelmingly positive. Users believe the interface is intuitive and offers a lot of options for marketers. But as with any off-the-shelf SEM reporting software, it does not offer the flexibility or customization options that many agencies prefer. Acquisio claims to offer its customers 24/7 chat support and a 9 a.m. to 5 p.m. phone center on weekdays. Acquisio is also quick to answer questions via their website chat function, even for non-customers. Kenshoo says it offers 24/7 case submission for all users, case response time based on severity, and a portal for tracking cases to all users. Members of the platform’s Premium plan also have access to escalation-management options; members of Kenshoo’s Signature program receive automated emails and prioritized case response. Which Agencies Are Best for Each SEM Reporting System? Kenshoo is the only SEM reporting solution that includes mobile. So, if mobile reporting, campaign management, and optimization are on your SEM reporting bucket list, then Kenshoo is a better choice. However, in order to get full SEM coverage with Kenshoo, you need to upgrade to their most comprehensive program Kenshoo Infinity Suite: Signature. If you are a smaller company, or you simply don’t want this much SEM coverage, then you may end up paying for more than you can use. Smaller agencies will be better off using Acquisio’s basic option, since it covers search, social, and display marketing. Can I customize the reports to match my clients’ needs? Will this work with my company’s/industry’s APIs? How much initial and ongoing support is offered? What is involved in the migration process (from our current system to the new system)? Does the system offer real time reports, or is there a delay? Are there additional costs outside of the monthly fee? Can this SEM software grow with my business? Do you understand my company’s goals? Will this software integrate with my existing systems? If not, does it offer any replacements? It’s important to have a complete understanding of the system before you sign on the dotted line. With any off-the-shelf SEM reporting solution, you will inevitably experience some shortcomings — it’s to be expected when working with a solution that’s essentially a one-size-fits-all (and not built specifically to your needs). A custom SEM reporting solution can eliminate the issues seen with out-of-the-box technology partners like Kenshoo and Acquisio. AI and Automation – The impact for marketers and how to prepare for it.